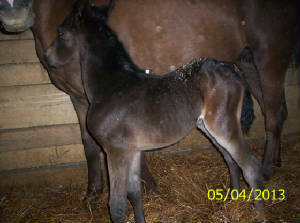 This is a 2010 Buckskin Morgan filly R-Heart Stars 'n Stripes X R-Heart winning Colors aka " Pink". This girl is sweet in your pocket but can put on a show just like her dad. She clips, bathes and had her feet trimmed. 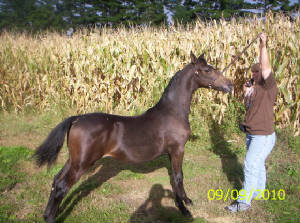 If you want to be seen in the show ring here's the filly for you. Her dam, Pink is 15 hands and what my lesson kids prefer to take their lessons on. 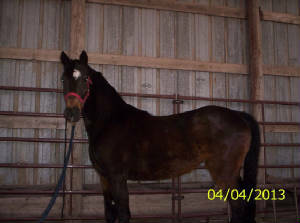 She is a Chocolate Palomino, see her pics on our mare page. 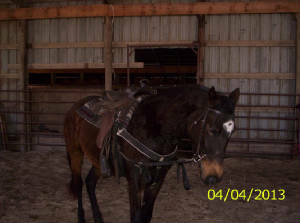 For Sale $1500 2010 pic of "Lilly"
This is a 2013 filly full sister to Lilly. Gracie is possibly a buckskin. What a pretty up-headed lil gal. 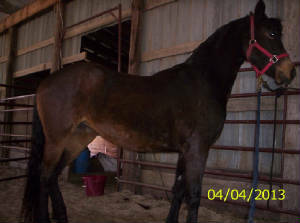 Price is $1000 for her, registered American Morgan Horse Association.